MIPCOM: UK-based distributor Cineflix Rights has picked up a blue chip natural history documentary which originally aired on Canadian pubcaster CBC/Radio-Canada. Under Thin Ice is from Galafilm Inc and Mario Cyr Productions and has joined Cineflix Rights’ doc slate in time for Mipcom in Cannes this week. The 1×90’ or 1×60’ 4K project follows cold-water diving experts and cinematographers Mario Cyr and Jill Heinerth as they explore the disappearance of the Arctic ice pack. 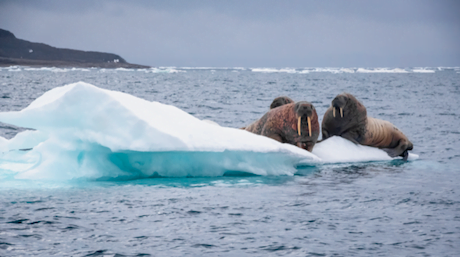 The doc sees the pair embark on a daring expedition to the polar seas in the Great Canadian North and Greenland to share their amazement and concerns.